For bulk and wholesale pricing on orders of 10 or more items, email phillip.ritchey@birminghamorthodox.com. This beautiful 8” x 10” icon of St. Symeon the New Theologian is a copy of a hand painted icon in St. Symeon Orthodox Church. The icon is a laminate print mounted on wood and is mounted through Doxology Design. The original icon was given as a gift to St. Symeon Orthodox Church by Alin and Smaranda Trifa, the iconographers working on the wall iconography for St. Symeon Orthodox Church. This beautiful 8” x 10” icon, a replica of the Vladimir Icon of the Theotokos, is a copy of a hand painted icon in St. Symeon Orthodox Church. The icon is a laminate print mounted on wood and is mounted through Doxology Design. The original icon was commissioned especially for one of the large shrines at St. Symeon Orthodox Church and was painted by Alin and Smaranda Trifa, who are also working on the wall iconography at St. Symeon Orthodox Church. This beautiful 8” x 10” icon of St. Nina the Enlightener of Georgia is a copy of a hand painted icon in St. Symeon Orthodox Church. The icon is a laminate print mounted on wood and is mounted through Doxology Design. 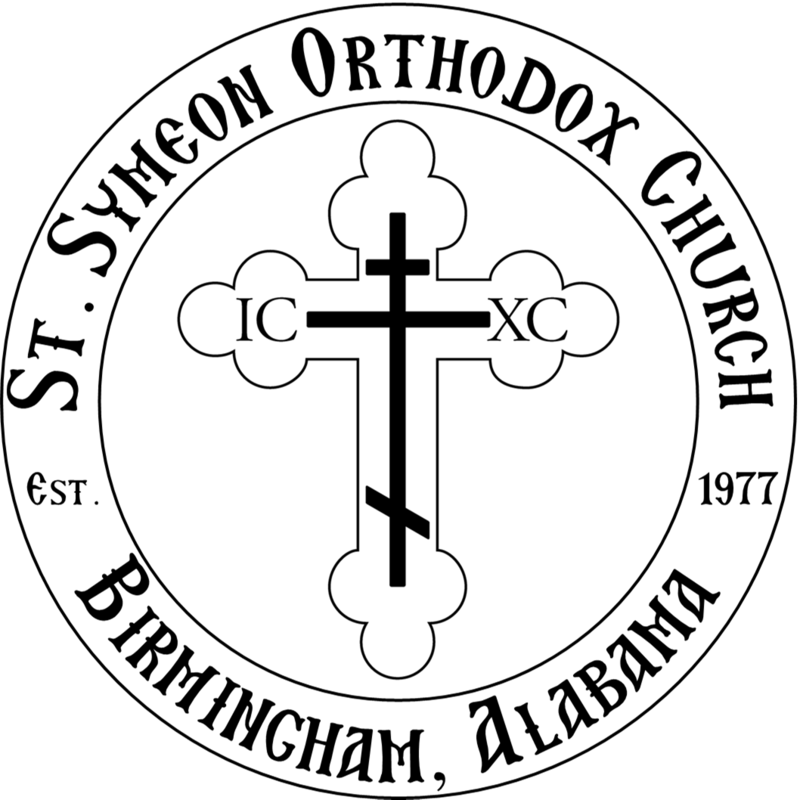 The original icon was commisioned specifically for St. Symeon Orthodox Church by members of Holy Trinity Cathedral in Tbilisi, Georgia, and given as a gift to St. Symeon in 2017. This beautiful 8” x 10” icon of St. Luke of Crimea, the Blessed Surgeon, is a copy of a hand painted icon in St. Symeon Orthodox Church. The icon is a laminate print mounted on wood and is mounted through Doxology Design. This icon was commissioned especially for one of the large shrines at St. Symeon Orthodox Church. The entirety of human history led inexorably to and was fulfilled in one inexplicable event: the Incarnation of the Son of God, our Lord and Savior Jesus Christ. Through His Self-emptying and condescension to us on earth, He made possible our ascent with Him into the everlasting glory of His Kingdom. As Saint Ambrose of Milan says, “He was a Baby, He was a Child, so that you may be a perfect man; He was wrapped in swaddling clothes, that you may be loosed from the snares of death; He was in a manger, so that you may be in the Altar; He was on earth, that you may be in the stars. He had no place in the inn, so that you may have many mansions in the Heavens.” On this Great and Holy Feast, together with the Angels we sing, “Glory to God in the Highest, and on earth peace, good will to men!,” as we exalt the Highly Exalted One Who humbled Himself, took upon Himself our nature which He formed from dust in the beginning, and redeemed it thatwe might be saved. 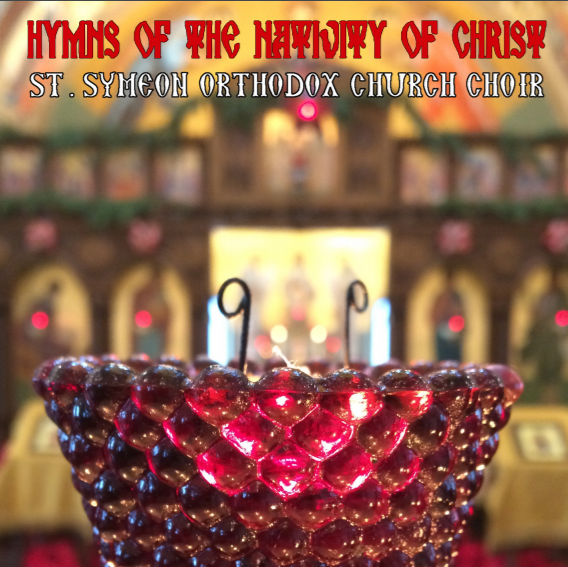 In this extensive two disc recording, our largest undertaking to date by far, we present a selection of hymns from the Great Compline, Festal Matins, and Divine Liturgy of the Feast of the Nativity of Christ, as well as a few traditional Orthodox carols from the Ukrainian and Carpatho- Russian traditions. 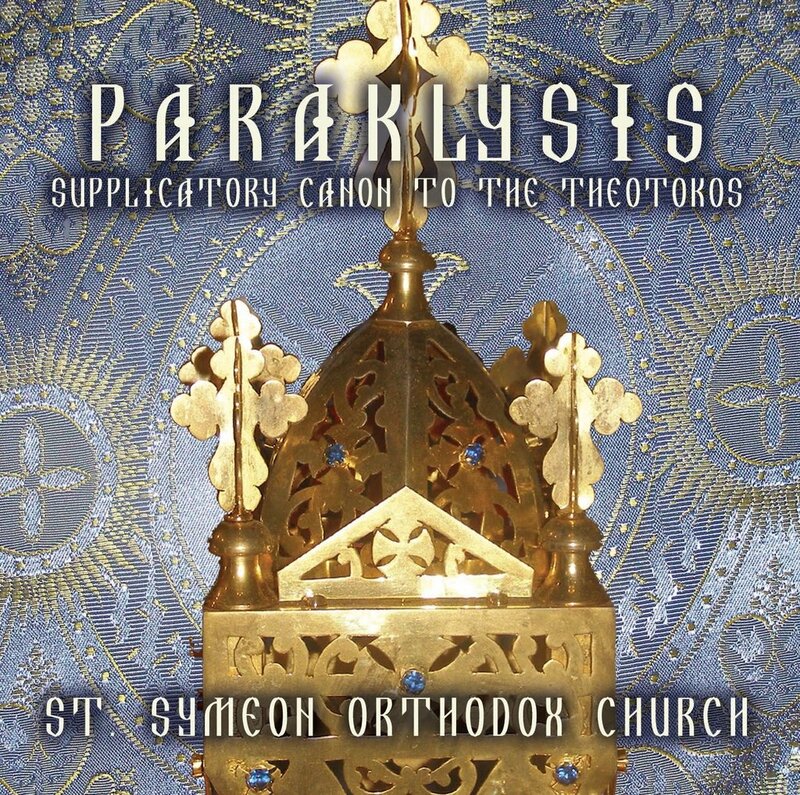 Looking ahead to the glorious Feast of Theophany (which used to be celebrated by the Church together with the Nativity as one grand Feast, that of the God-Man Jesus Christ and the manifestation of the worship of the Holy Trinity), we have included the Troparion of Theophany as the final track. It is Aleksandr Kastalsky’s arrangement of the ancient Znamenny Chant, and is a first-time recording in English by a full choir. In addition, there are seven other first-time recordings of chants/hymns in English: Tracks 1, 6, the sessional hymn portion of Track 11, Tracks 13, 16, 23, and 28. 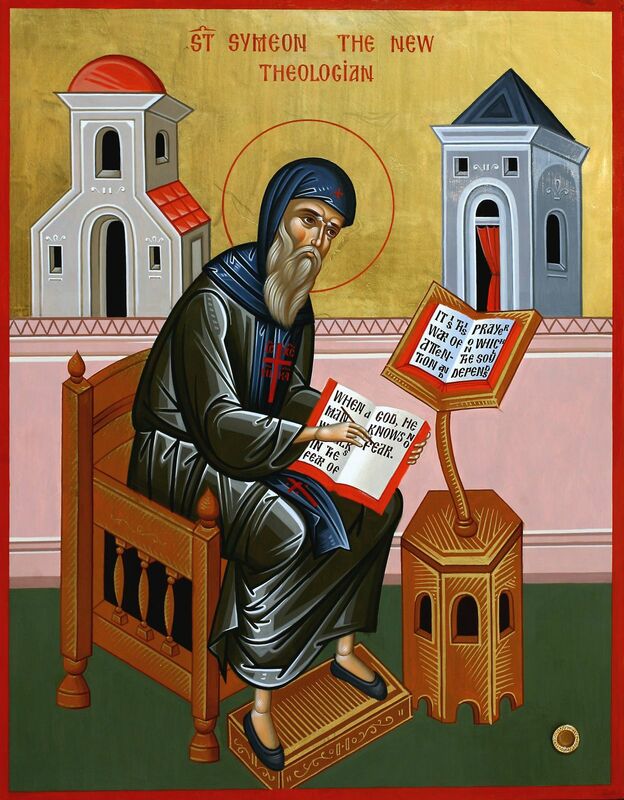 There are three hymns from the ancient Byzantine Chant tradition - Tracks 5, 9, and 17. May the holy joy that filled the cave in Bethlehem and the peace of the Incarnate Christ be ever in your hearts, both during the Advent season and throughout the year! Now available through iTunes! Click here to go to the iTunes Store. “Go ye therefore, and teach all nations,” (Matt. 28:19) said our Lord Jesus Christ to His Disciples and Apostles. As the Apostles and their successors went throughout the world preaching the Good News of the Gospel of Jesus Christ, they encountered various cultures and languages, and they endeavored to translate the Divine Services and Scriptures into the native languages. As they did so, the hymnody of the Church naturally began to blend – over many years, appropriately and with much care – with the specific music of the culture. The present recording – the second by Antiphony Orthodox Ensemble – includes hymns in various languages and Orthodox musical traditions. Hymns in English, Greek, Arabic, Slavonic, Romanian, Georgian, and Spanish can be heard in such musical traditions as Byzantine, Znamenny, Valaam, Optina, Kiev Caves Lavra, Holy Trinity-St. Sergius Lavra, and Georgian Chant. This recording also includes eight arrangements recorded for the first time in English. 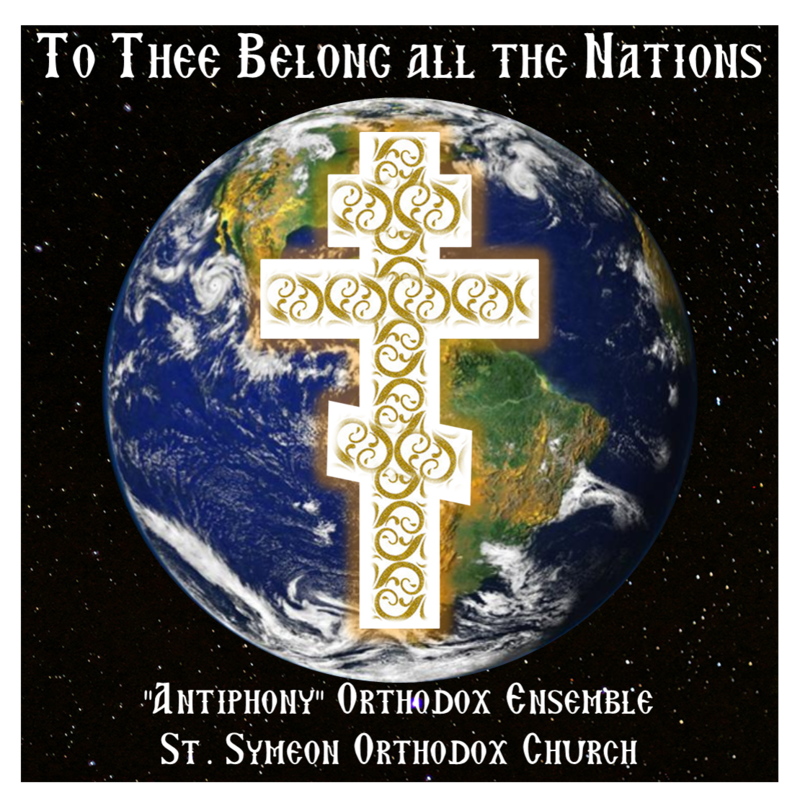 All the nations can thus worship God in their own languages with their own Orthodox hymnody reflective of the hymnody of the Saints who brought the Faith to their land, because, truly, “to Thee belong all the nations!” Now available through iTunes! Click here to go to the iTunes Store. This is St. Symeon’s third full choir recording. Since our first effort in 2010, our choir has continued to develop and evolve with some younger voices maturing and some new adult singers joining in. We include here seven hymns heard for the first time in English. A men’s chorus contributed two offerings. The title, Our God is in Heaven and on Earth, celebrates in song our Orthodox vision of the Church's earthly worship as a reflection of Heavenly worship. At St. Symeon’s we rejoice in the entrance this year into our new earthly temple where this recording was completed in October, 2015. Glory to God for all things! Now available via iTunes! Click here to go to the iTunes store. Well past 3:00 in the morning on a beautiful spring day, in a church with floors spotted with candle wax and a smell of incense that seemingly permeates the soul, another service has begun. Many faithful, continuing the joyous Kingdom-like celebration, have moved to the church refectory for a great feast. It is Pascha. Now and for the next seven days, all hourly services and supplicatory prayers are superseded by one short, joyous, and enigmatically peaceful service: The Hours of Pascha. Sadly, in the next few days, we will return to everyday life, with its necessary tasks and obligations. From many accounts, a feeling of emptiness and mundanity among non-monastic Orthodox Christians is associated with this time of "going back to the world." 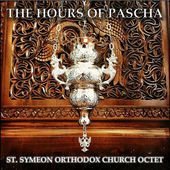 This recording, the first by the Octet of St. Symeon Orthodox Church, aspires to aid in sustaining the joy of Pascha for as long as possible and even outside of the Paschal season in the soul of the listener. "The Hours of Pascha" features three first-time recordings in English: Aleksandr Kastalsky's Znammeny Litany Before the Lord's Prayer and Deacon Sergei Trubachev's Paschal Troparion and Exapostilarion. May the joy of Pascha be ever in our hearts as we strive to live faithful Christian lives according to God's will, to the glory of His Holy name. CHRIST IS RISEN! Now available via iTunes! Click here to go to the iTunes store. 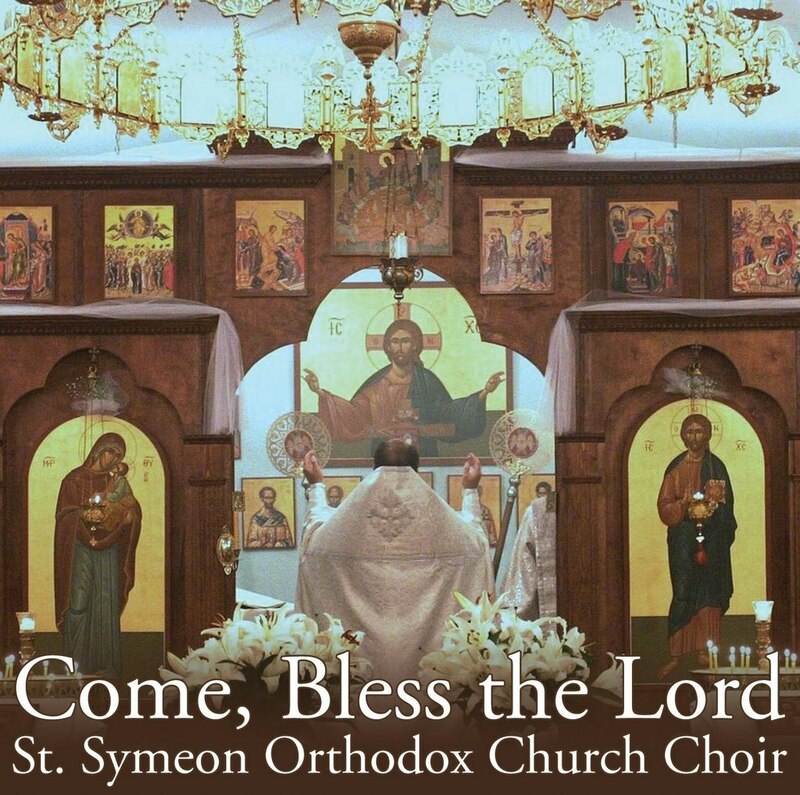 “Come, Bless the Lord,” our second full-choir recording, was created in an effort to preserve for future American Orthodox generations how we sing praises to God in Church, both functionally and spiritually - functionally in that our singing follows in the traditions of the Orthodox choirs that came before us, and spiritually in that our beloved hymns, when sung fervently and in union with the soul, bring us, along with the faithful present, closer to God in worship and closer to repentance in our lives. Tracks include Kastalsky's "Blessed is the Man," Grechaninov's "It is Truly Meet," and Archbishop Ionafan's "Praise Ye the Name," all recorded for the first time in English. For a sample of this CD, click here. Now available via iTunes! Click here to go to the iTunes store. The Orthodox Church lovingly honors the Most-Holy Theotokos and Ever-Virgin Mary both because of Who her Son is, and because of who she is in her holiness and faithful intercession for the Church and for the whole world. This Paraklysis service declares the Church’s loving devotion to our Lord’s Mother and also brings glory and honor to her Son, our Lord and God and Savior Jesus Christ. The Paraklysis service (Small Supplicatory Canon) to the Theotokos is chanted in the Orthodox Church during the Dormition Fast in August and also as a personal devotion in times of need and sorrow of soul. For a sample of this CD, click here. Now available via iTunes! Click here to go to the iTunes store. 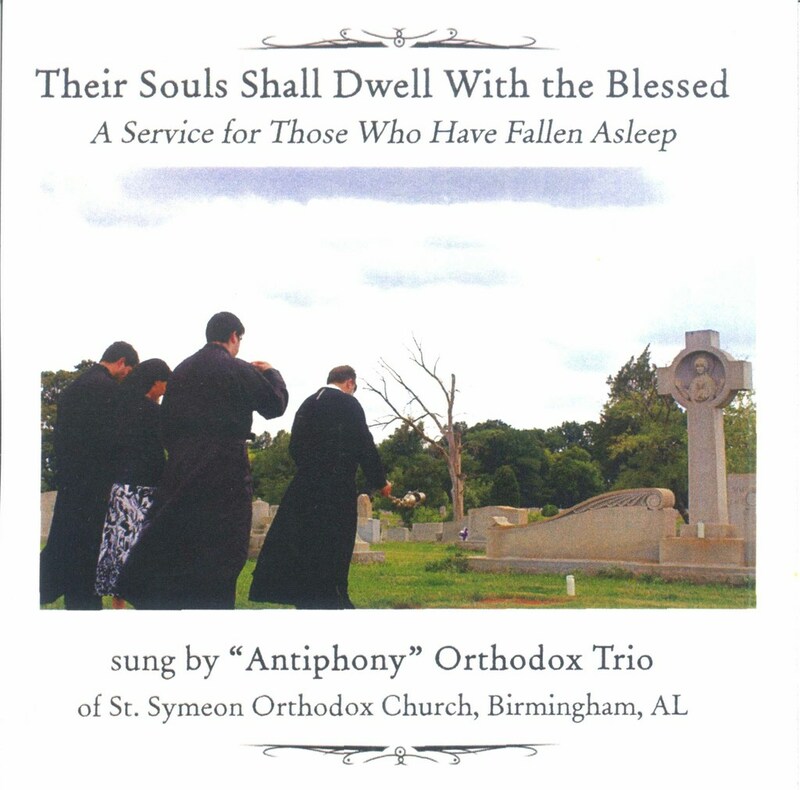 "Their Souls Shall Dwell With the Blessed: A Service for Those Who Have Fallen Asleep" was recorded by "Antiphony" Orthodox Trio of St. Symeon Orthodox Church. It is the service of the Panikhida, which is a memorial service for departed members of the Orthodox church. 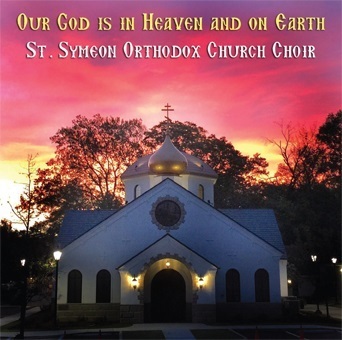 This CD is dedicated to all our departed loved ones, especially those of St. Symeon Orthodox Church community. Now available via iTunes! Click here to go to the iTunes store. 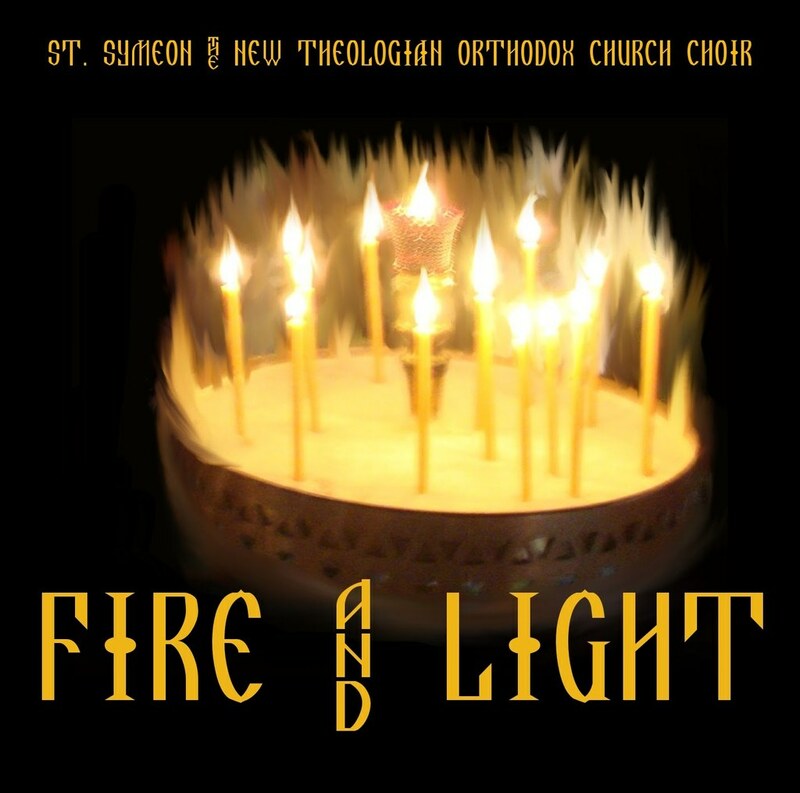 "Fire and Light" is the first recording by St. Symeon Orthodox Church Choir. If there is a theme to this first effort, one could call it "a few of our favorite things," as suggested by members of our parish community. You will hear various prominent hymns of the Orthodox Church liturgical year, plus some standard portions of the Sunday Divine Liturgy. For a sample of this CD, click here. Now available via iTunes! Click here to go to the iTunes store. 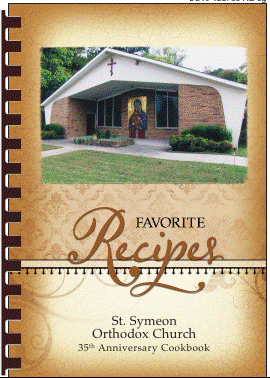 A hardback cookbook with over 250 recipes from our church members, including many great fasting recipes. Frontal license plate with the Holy Cross and "ICXC NIKA" ("Jesus Christ Conquers").